We don’t have any trips to France planned for this summer (yet, our internal eternal optimists force us to add), but we were happy to have the occasion to “Think French” during a couple of recent lunches in New York City. 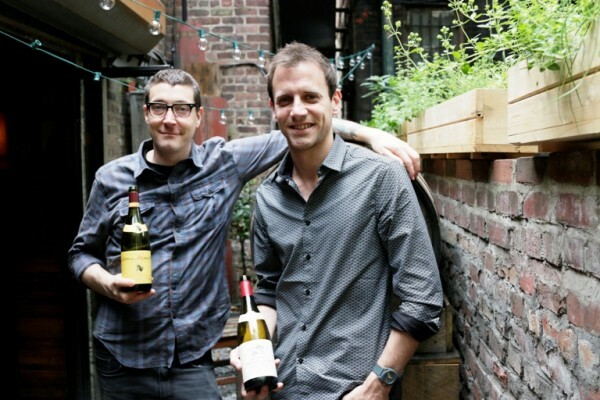 Last week, we joined Discover Beaujolais‘ Charles Rambaud at Huertas on Manhattan’s Lower East Side to taste how Beaujolais paired with its Basque-influenced Spanish cuisine — on the heels of his visits to San Francisco and Seattle to showcase its pairing prowess with Asian and Pacific Northwest cuisines. 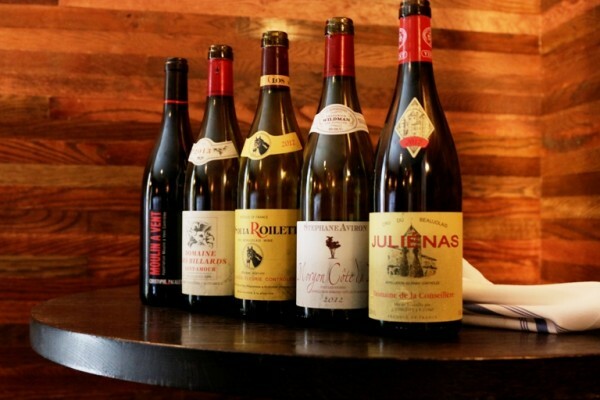 Sommelier Patrick Cappiello (a partner of Branden McRill in Pearl & Ash and Rebelle) led us through a tasting of more than a half-dozen examples of Beaujolais, underscoring that — despite the fact that 98% of Beaujolais is red wine made from the Gamay grape — all Beaujolais is not alike. Indeed, we kicked off lunch by enjoying a rare Beaujolais rose (which represents just 1% of all Beaujolais produced, as does white): a 2014 Gerard Gelin Domaine des Nugues Beaujolais Villages Rosé ($16). Other wines included a 2012 Christophe Pacalet Moulin-a-Vent ($21), 2013 Barbet Domaines des Billards Saint-Amour ($20), 2012 Coudert Clos de la Roilette Fleurie ($17, and Andrew’s favorite after impressing him with how well it paired with asparagus), 2012 Stephane Aviron “Cote du Py” Vielles Vignes Morgon ($20), 2012 Chateau Fusse “Domaine de la Conseillere” Julienas ($30), and 2013 Cominique Piron Beaujolais Villages ($15). 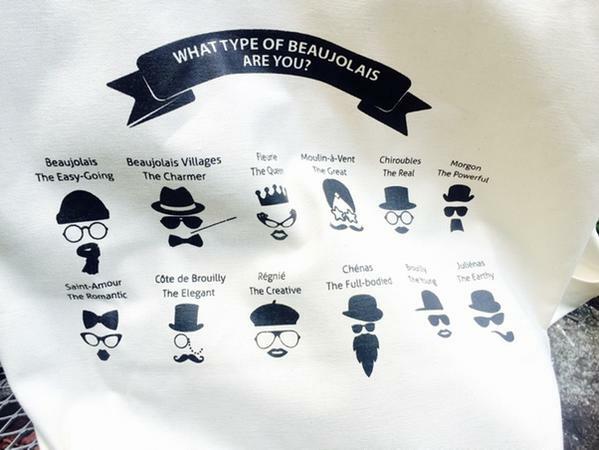 Indeed, each of the 10 crus of Beaujolais has its own style, personality, and food pairing implications. Lighter-bodied Beaujolais pair more readily with lighter dishes (e.g., hummus, salads, summer rolls, strawberry shortcake) while fuller-bodied styles pair more easily with heartier dishes (e.g., burdock root, casseroles, eggplant, Jerusalem artichokes, lentil soup, mushrooms). Medium-bodied Beaujolais has the flexibility to pair with either lighter or heavier dishes (e.g., macaroni and cheese, onion rings, garlic roast potatoes, potato salad, Vichyssoise). We’re not letting our plans to be in Manhattan over the next few weeks stop us from enjoying some of France’s most idyllic summer pleasures. Neither should you. 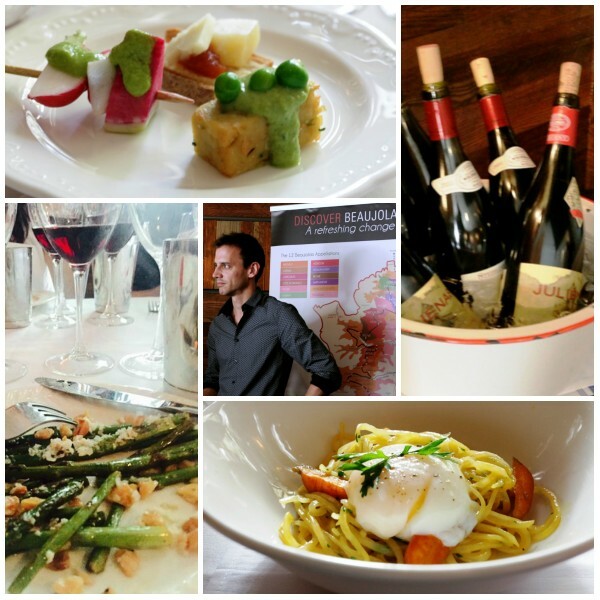 Discover Beaujolais is at discoverbeaujolais.com and on Twitter at twitter.com/discoverbojo.